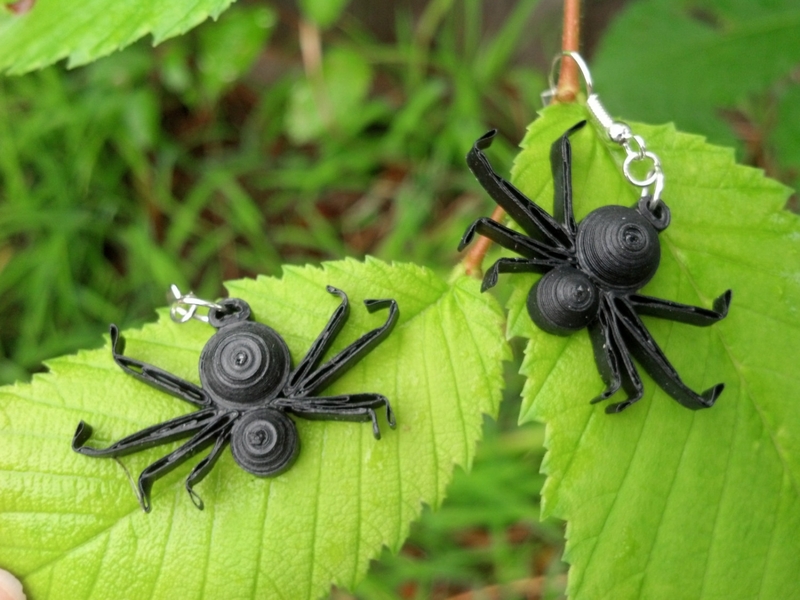 This paper quilled spider jewelry set will make you the creepy crawly queen this Halloween. 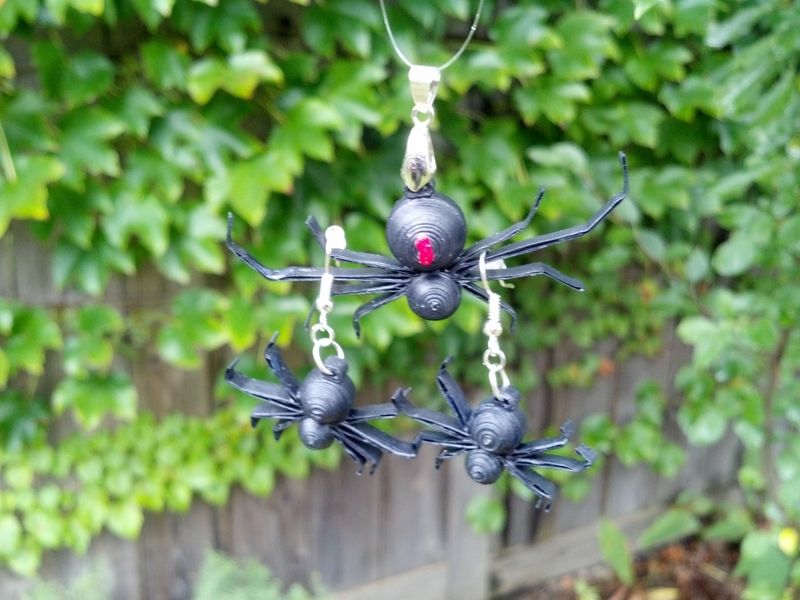 Each spooktacular spider has been hand crafted from jet black quilling paper. The set includes a necklace pendant and earrings. 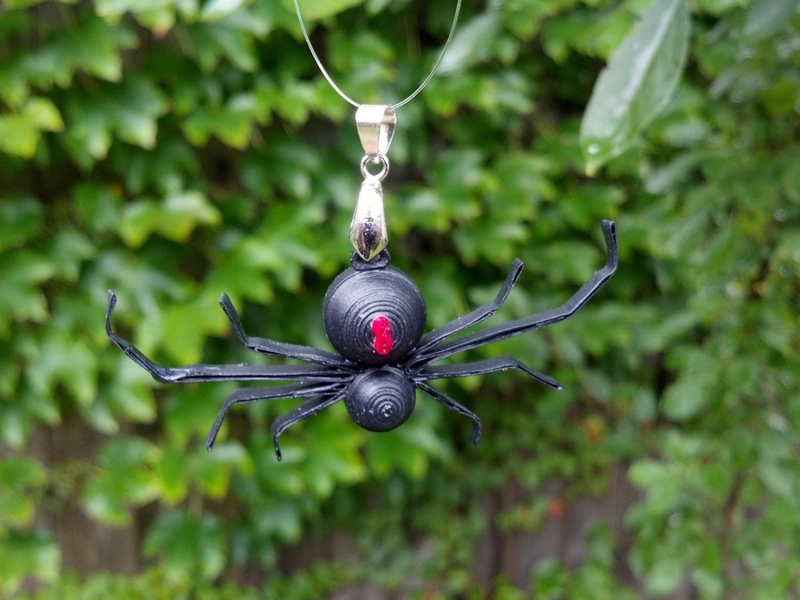 The pendant is a large black widow spider with the characteristic red hourglass shape on the body. 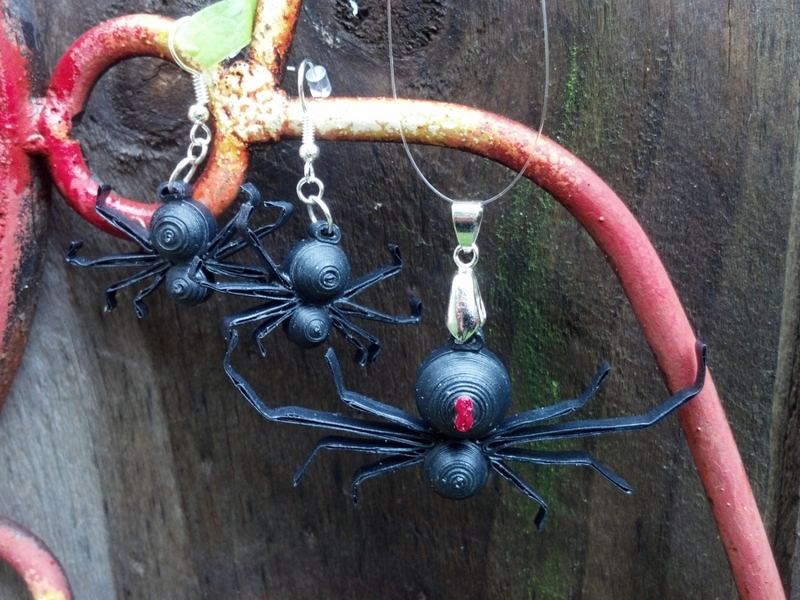 The smaller spider earrings are all black. The pieces are coated in a sealant which makes them water resistant and UV resistant. They are super lightweight. 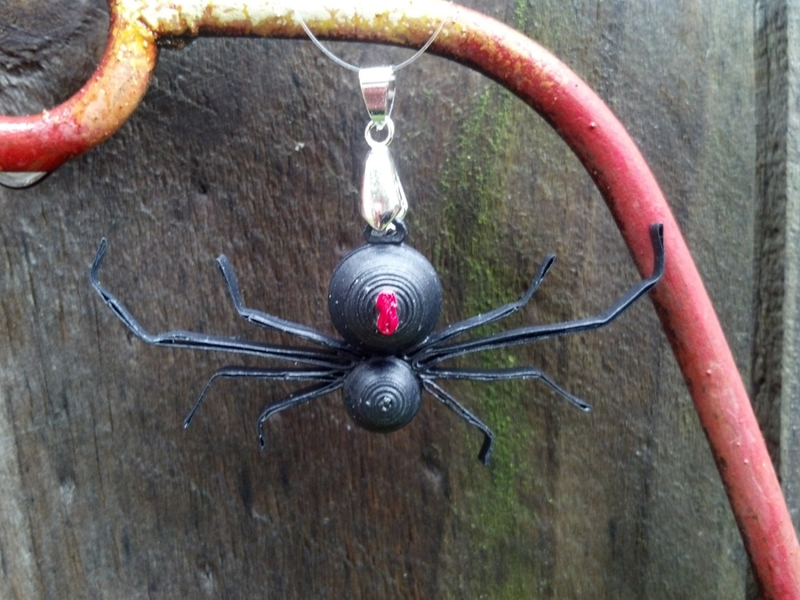 Plastic safety backs are included with the earrings. Pendant clasp included with the pendant. This set is made to order which means I will make you a fresh piece as soon as you order. Your pieces will look nearly identical to the photographs provided. Small variations may be present, as each item is one of a kind.